The Canadian Encyclopedia is a free online encyclopedia provided by the non profit Historica. ca foundation, supported by Avie Bennett. There are a number of articles relating to residential Schools in their Indigenous Peoples Collection, including an overview of the schools, the apology and settlement agreement. Canadian Points of View Reference Centre is accessed via the library website's database page http://www.sd45slc.ca/databases.html. The database has essays on Canadian topics from a variety of views. This link connects to an article on discrimination of Canada's Aboriginal people including residential schools. Indigenous and Northern Affairs Canada is the Canadian Government ministry responsible for meeting Canada’s commitments to First Nations, Inuit and Metis people. This resource contains links to the Indian Act, The Indian Residential Schools Settlement Agreement, the establishment of the Truth and Reconciliation Commission and Canada’s apologies to Aboriginal People. This report was prepared in 2012 by Canada's Truth and Reconciliation Commission to report on the history, purpose, operation and supervision of the residential School system, the effect and consequences of the system, and its ongoing legacy. Access a pdf version of the report by clicking on the image. The Truth and Reconciliation Commission was established in 1998 by the Government of Canada with a mandate to “inform all Canadians about what happened in Indian residential Schools by documenting the truths of survivors and those affected. The Commission had a five year mandate and released its final report in July 2015. Start by reading the preface and the introduction of the executive summary. ​Project of Heart is an interactive ebook prepared by the BC Teachers Federation to Illuminate the hidden history of Indian Residential Schools in BC. The Legacy of Hope Foundation (LHF) is a national Indigenous charitable organization whose purpose is to educate, to raise awareness and understanding of the legacy of residential schools, including the effects and intergenerational impacts on First Nations, Métis, and Inuit, and to support the ongoing healing process of Residential School Survivors. Where are the Children? Healing the Legacy of Residential Schools. The aboriginal healing foundation is an Aboriginal-run organization that helps Aboriginal People heal from the abuses in residential schools. They have a number of publications inlcuding Misconceptions of Canada’s Indian Residential School System. Selections from the Book Speaking My Truth: Reflections on Reconciliation and Residential Schools. A hardcopy is available in the library. Inspired by a woven blanket, the Witness Blanket is made out of hundreds of items reclaimed from Residential Schools, churches, government buildings and traditional and cultural structures from across Canada. Download the ipad app or use the library ipad to learn the story of each item on the blanket. 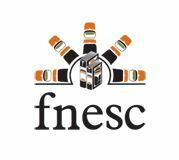 FNESC is a First Nations Controlled collective organization whose goal is to promote and support the provision of quality education to First Nations learners in BC. 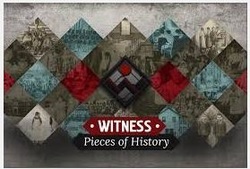 CBC Curio has a collection of 25 video resources relating to Residential Schools. This resource, which is a paid subscription, is available for viewing at school only. A collection of news stories and special reports on Canada's Residential Schools. 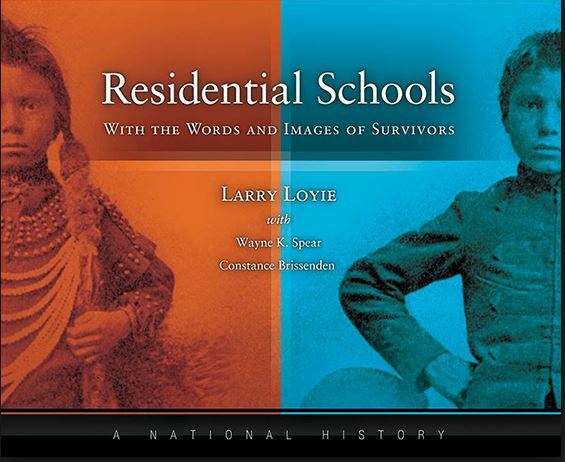 Library and Archives Canada has a collection of photographs of Residential schools taken between 1885 and 1996. They are arranged by province and are free to use for your project provided credit is given. Click on the image to find the title, author, date etc. to create your citation. Select photo or image in an archive as the type of source.